Possibility to spend the night at Tehran airport (IKA), if open 24 hours. Services available, places to rest (free resting zones), or look for the list of nearby hotels and vip lounges..
Tehran airport is busy almost constantly and is open around the clock. Where to rest: You can find reclinable chairs next to the boarding gates and the duty-free shops. However, it is best to have a sleeping bag in case you have to sleep on the floor. 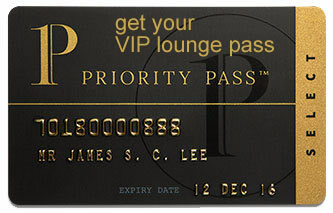 Another option is to use one of the VIP lounges, which are open 24 hours a day. SEE VIP LOUNGES Beyond that, there are two hotels across from the terminal for a better rest. Baggage: No left luggage service is available in this airport. Eating and drinking: Eateries close at night, so have some snacks ready in advance. Other services available around the clock: Commercial stores, ATMs, prayer rooms. Opposite the terminal are located the Novotel Tehran Imam Khomeini International Airport (Tel +98 215 567 7900) and the Ibis Tehran Imam Khomeini International Airport (Tel +98 215 567 7900). To find more accommodations you should get to central Tehran, where there are options such as: Mehrabad Hotel (Tel +98 214 463 1391), Taha Hostel (Tel +98 912 739 3531), Iran Hostel (Tel +98 935 725 2441), Golestan Hotel (Tel +98 216 671 1417), Shahryar Hotel (Tel +98 215 863 8596), Asareh Hotel (Tel +98 216 656 4555), Pasargad Hotel (Tel +98 216 642 4051), Ferdowsi International Grand Hotel (Tel +98 216 672 7026). Some hotels provide a shuttle service to and from the airport.